Socially responsible and a moment of inspiration…. Social media has a lot to answer for, it can be a powerful tool and a lethal weapon all at the same time. What it is used for can be both a help and a hindrance. 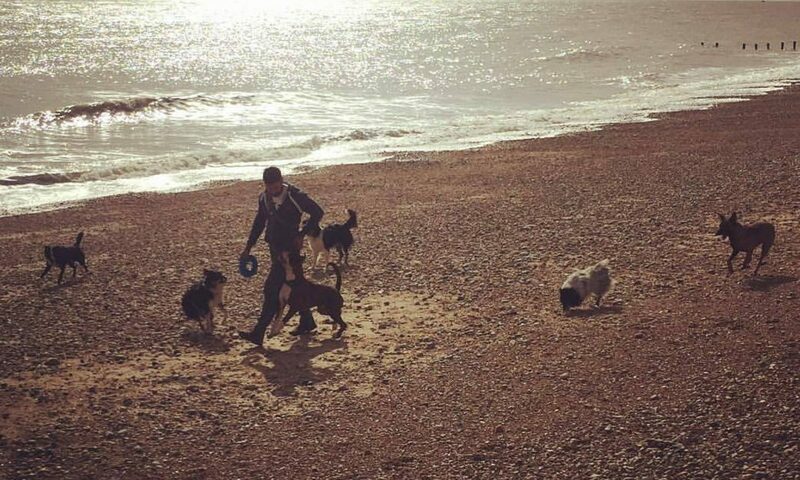 As a professional dog trainer and dog sports coach, I utilise social media on a daily basis… I use it to connect with people, engage with my pupils and audience and a platform for my work. This will problem intensify over the coming year, with the development of an online community and teaching tool. However, after reading on various forums on various discussion, everything from raw feeding, to jump height, to obedience issues, to rules and regs, it occurred to be that, social media and the use it, from a personal perspective, comes with a responsibility. The question I ask myself when I post a message, status or video, is always… what is your intention? By asking myself that question, I use it almost like a barometer for the tone and message. The post others make, that truly resonate with me, all have a reoccurring theme. They set an example to others, and leadby that example…. or in other words, They inspire in one way, shape or form. Personally, I can recall vividly throughout my life, when I have been inspired by en event, a teacher, a moment or simply a ‘thing’. It hits you like a tonne of bricks, it evokes emotion, excitement, thought and many more movements within you. And of late, as a new father, my daughter inspiring me to do better, push harder and strive for more from myself. For someone who has been training dogs for more time then I haven’t been training dogs, its these moments that act as reinforcement for me. It may come from a dog, whose enthusiasm and tenacity for life, puts a smile on my face just watching them run and play. It may come from someone competing, whose training resonates from their performance. This was exactly what happened recently when I watched both the 1st and 2nd place dogs in a championship obedience class. The quality and standard of both teams was inspiring, both combining style, accuracy, drive, teamwork and an obvious attention to detail endorsed by smart handling. It doesn’t esnt matter if its obedience, agility, IPO, working trials on any other dog sport, such performance transcend the boundaries of the individual sport and anyone with even an untrained eye, can appreciate the beauty. Often, in this weird and complex world that is dog training, we look to highlight the difference between us, one method better then the next, one path more ‘correct’ then the other. However, it would be far more beneficial and have greater impact, not to focus on the differences but rather concentrate on being and doing the best you can, and let that be an example to others. In doing so, you may inspire someone to follow in your footsteps, and that is where the greatest impact will occur. What inspires you to get up each day, brave the weathers, travel the length and breadth of the country, or the world, chasing accolades and achievements? What creates that burning desire within you, to start the Everest like journey that is in front of you? Are you lacking inspiration? Or are you searching for it? Who has sent an example for you, by their actions? Irrespective of the answer to the above, start being an ‘inspiration’ to others. In your actions, your attitude, your interaction and your dogs…. send out that energy into the universe and see what comes back to you…. Previous PostPrevious Caring is sharing….